This stylish, world time metal mantel clock displays local time and features four smaller dials for displaying time for New York, Paris, London and Tokyo. 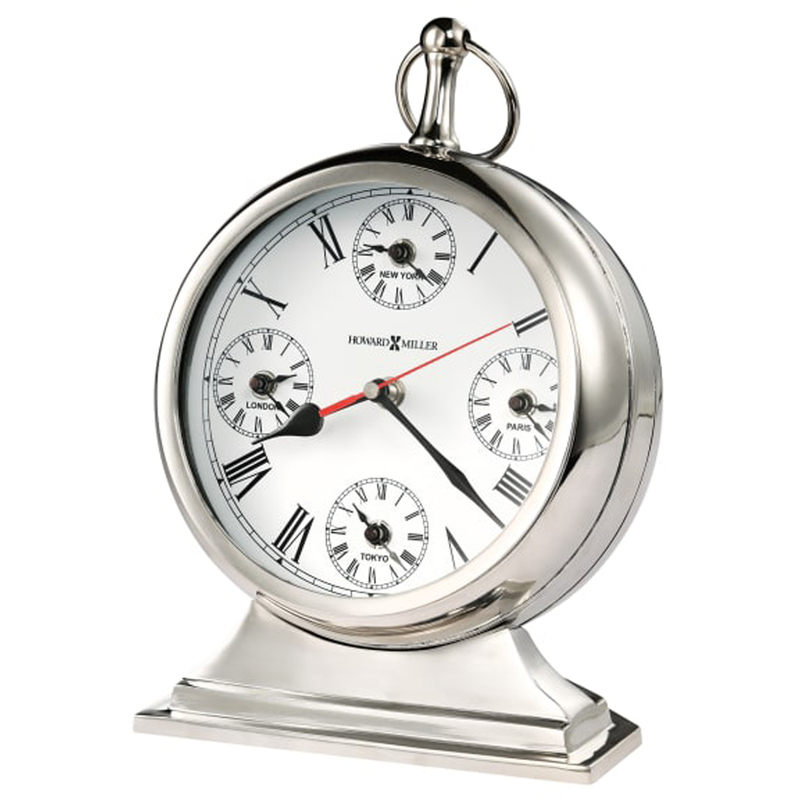 A deep, round polished nickel finished case houses a white dial with black Roman numerals, and includes the four smaller Roman numeral dials at the 12, 3, 6 and 9 positions. A glass crystal protects the dial plus black hour and minute hands and red seconds hand. Quartz, battery-operated movement requires five AA sized batteries (not included). 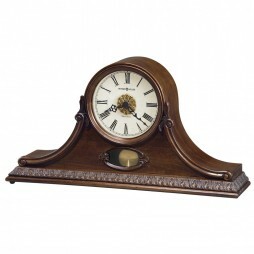 Keep track of time in style with this Howard Miller Akron Bracket Style Mantel Clock. 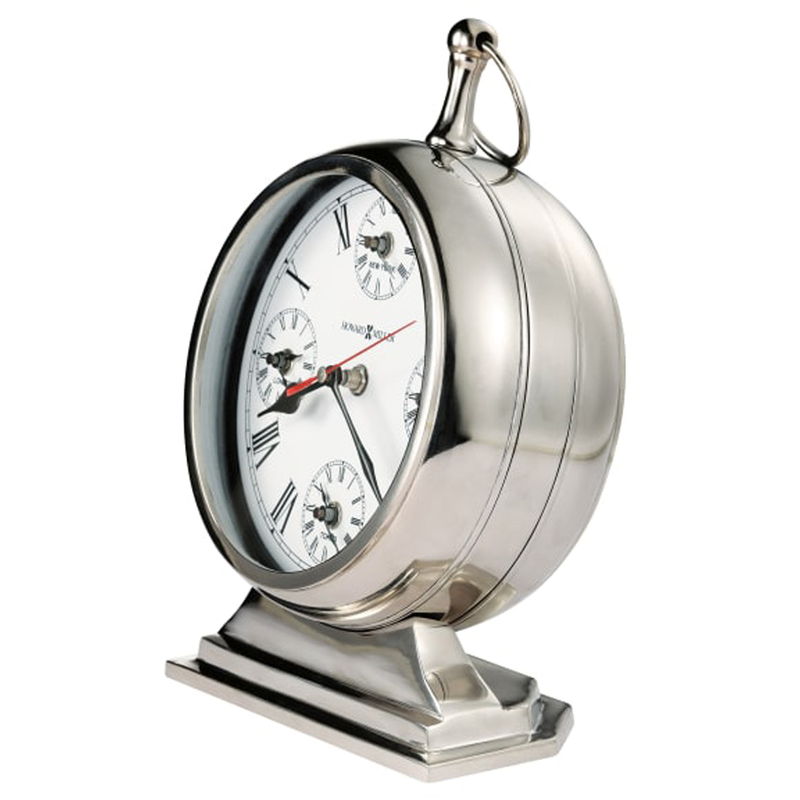 Sporting a classy design and a stylish dial, this clock has an eye-catching shape. The Howard Miller Akron Chiming Mantel Clock is a bracket style clock and embellished with stylish details from top to bottom. 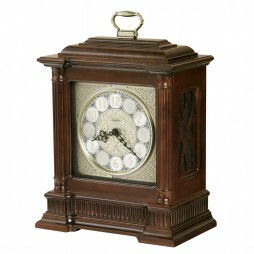 A brass handle on the top will complement the carriage style and reeded columns on the front with turned caps with a matching reeded base frame the decorative dial. The brushed nickel dial is enhanced with an applied brass-toned, etched fret center disk and corner ornaments. 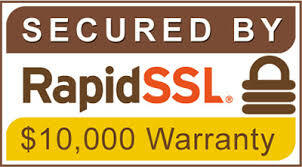 Made of quality material, it is light-weight, durable and easy to install. 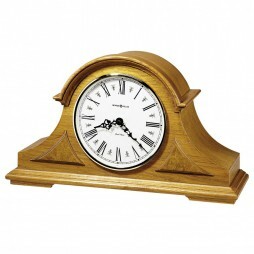 Enhance the look of your walls with Howard Miller Burton Oak Tambour Mantel Clock. This special anniversary edition tambour mantel clock features decorative top molding and triangular burl overlays. Finished in Golden Oak on select hardwoods and veneers. Quartz, triple chime Harmonic movement plays your choice of quarter hour or hourly Westminster Chime and Ave Maria, or Bim Bam chimes with volume control and automatic nighttime chime shut-off switch. 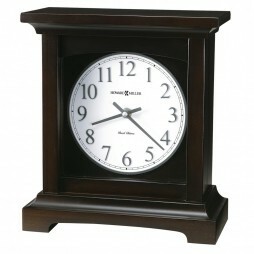 With 12 months warranty, this clock is a smart choice.